At Columbia Drain Co. one of the many jobs we do is drain cleaning. 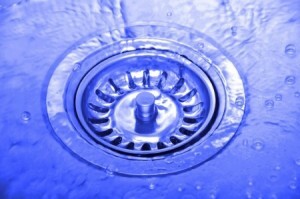 While there are multiple reasons why your drains would need a cleaning, there are only two times when you need to call. During an emergency and for a routine inspection and cleaning. If you are calling because you have a drain that is completely clogged or draining dangerously slowly, then you most certainly need a drain cleaning specialist that can respond quickly, has the manpower and tools necessary for the job and the experience needed to work efficiently and precisely to get the job done right. Columbia Drain Co. is that company! When one of your drains is clogged, it is not as simple as just deciding to use a different toilet, sink or shower. Most of the time, other drains in your home will quickly become effected as well, since they all work together to provide an intricate drainage system for your home. Columbia Drain Co. uses only the latest technology and knowledge to clear out whatever is clogging your drain and will quickly return your home or business to flowing as you need it to! One question a consumer may ask, Does Columbia Drain have the proper equipment to handle the Job? We sure do, Columbia Drain has invested in the equipment to handle any plugged drain you may come across. From small cable machines,know as snakes, to large jetter type equipment. The process, while seeming simple, can be dangerous, and should be trusted to only a professional, like the technicians at Columbia Drain. The jetter can produce from 6 gmp to 40 gpm, and generate pressures up to 3000 psi. This system breaks free the blockages and flushes them down the waste line all at the same time. So rest assured we have the equipement to handle all jobs, large or small! Why would you need a drain cleaning specialist? Well, as you know your home has several different types of drains and while they all work in the same manner to swiftly rid your sinks, toilets and tubs from unwanted waste water, they are all different and can become clogged by different types of debris. • Kitchen Drains must be able to not only take dirty water away from the sink but also bits of food, either that gets washed down the drain or that is chopped up by your garbage disposal. While this is what your kitchen sink is designed to do, it can also cause clogs especially when grease or large pieces of food are washed down the drain. • Bathroom sinks allow us to wash our hands and faces and brush our teeth without much thought to where all that water goes. While bathroom drains are designed to wash away dirty soap and water and toothpaste, these things mixed with hair and dirt can lead to unwanted clogs in the bathroom sinks and showers of your home. • Toilets are not only clogged by the normal usage of them, but also from large amounts of toilet paper, cotton swabs and facial tissues that may get stuck in the toilet drains. While a toilet plunger can sometimes work, many toilet clogs are in need of professional help. • Your home may have several floor drains that are placed in areas where large amounts of water may need to be rushed away before damage is caused. Floor drains are most commonly found in bathrooms, laundry rooms, patios and garages. Because they are located on the floor, they are easily clogged with dirt, leaves, small sticks and anything that accidently gets dropped in or near them. If these drains are clogged, they will not be able to work effectively and could result in damage to your home from large amounts of standing water. At Columbia Drain Co., we are fully equipped and able to handle any drain you need cleaned, whether it is due to an emergency clog or as a routine cleaning to avoid emergencies. Do you have a drain or sewer that require preventive maintenance? Columbia Drain can provide you with a competitive rate to clean that problem drain on scheduled intervals, avoiding the mess and stress that comes with a drain or sewer back up. When you need your drains cleaned in the Portland and Vancouver areas, call Columbia Drain Co. first!